Product code: 414 Categories: Sold Items, Sold Watches. 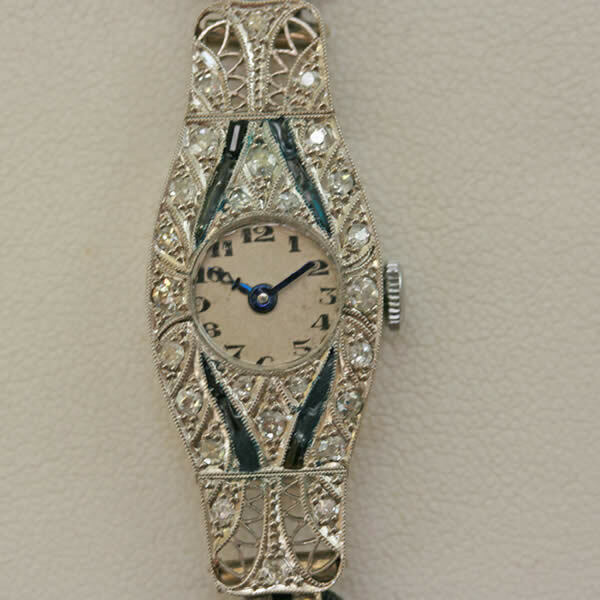 This is a very sweet watch from the Art Deco era of 1920. With a wonderful 9ct white gold case, set with diamonds and cobalt blue enamel, it measures a dainty and feminine 4.4cm from top to bottom. The dial itself – which is all original and has not been re-painted, measures an amazing 9mm in diameter, yet is still very easy to read. 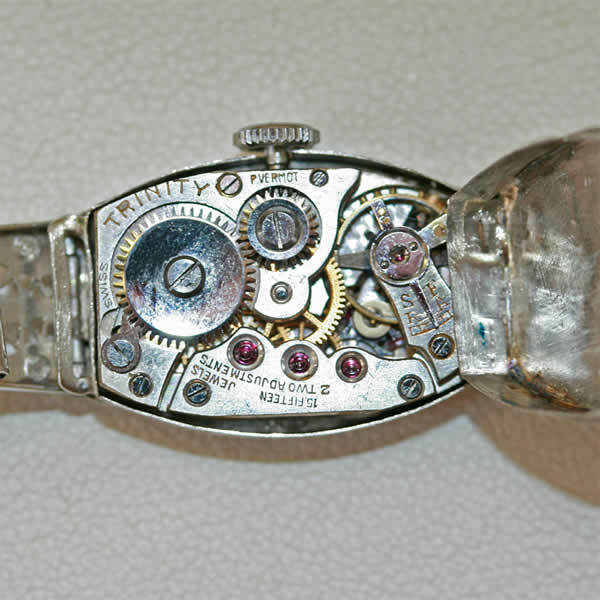 This is a wonderful gorgeous Art Deco watch, with a fully jewelled Swiss movement by Trinity that has been serviced and of course comes with a warranty. Fitted on a black cordette band, this is a watch that would look so stunning in the evenings!